Read option football is a hot topic right now with teams implementing the Pistol and a variety of zone read schemes. As many college and high school football fans know, option football is not a new concept. It has been alive and well for decades. 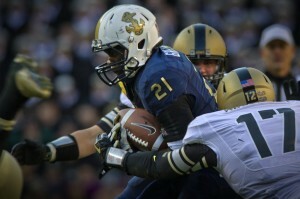 If you are new to read option football concepts, the Option 101 page is a great place to start. It will help you understand the option offense theory and how to exploit defenses with its concepts. Option football comes in many forms. From the Split-T developed in the 1940’s to the Spread Option of today, option football has been a fixture in the game for a long time. If you coach option football, would like to coach it, or just enjoy watching it in action please look around and join the conversation. I will update content most regularly on my blog, but I will also support several informational web pages on various option offenses and other option relevant topics. 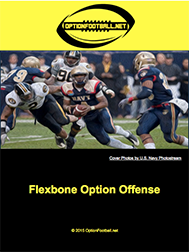 Information on various formations such as the Flexbone, the Wishbone, and Pro Set style option offenses can also be found here. If you want to know more about who I am and what this site will cover, take a look at my About page, and always feel free to contact me for anything.